They are returning, Gillian Anderson’s Dana Scully looking somewhat well preserved, and a greyish David Duchovny as Fox Mulder. The FBI duo, dynamic or otherwise, mining the consciousness of conspiranoia, tapping into the perennial scepticism about official accounts, standard narratives, the truth dictated as gospel from the powers that be. They were always meant to know better, even if more questions than answers were found. Chris Carter was eager to draw from the well of X-File mania to give the series a new six-episode run. But the supplementary soil, in terms of events, has been fertile. “We deal with fear in a lot of different ways… The fact that we’re being spied on and don’t seem to be raising any protest is a frightening prospect for me.” Carter’s points of reference? WikiLeaks and its founder, Julian Assange, and whistleblower Edward Snowden. Carter is by no means the only one to share this view. 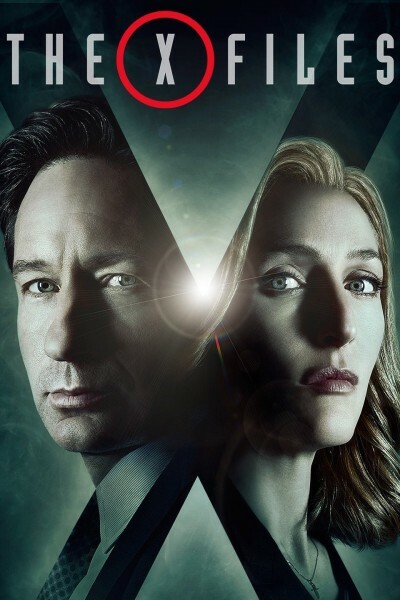 According to Evan Valentine, “Honestly, our present society and time is probably a much better fit for the X-Files than it was during the era when it first debuted.” Why? “Questioning authority has become part of the course,” a point the creators took to heart in resurrecting Mulder and Scully. The America of the 1990s from which the X-Files issued forth was, tritely put, another country. But it did have its weekly digest of tabloid alien abductions, unexplained sightings, and millenarian terrors. Given the absence of a politicised global Yeti or Big Foot in the form of the Soviet Union, people just had to make do with other backyard, paranormal findings. Even as the series limped into oblivion in 2002, the arsenals of delusion were being readied for their catastrophic release in 2003. Call them aliens, weapons of mass destruction, terrorists – everyone had to have something to believe, their conspiracy to treasure. The events of September 11, 2001 were already sowing seeds of suspicion; the invasion of Iraq on specious, concocted grounds (the WMD conspiracy) added to the ledger of speculations. The tree of conspiracy began to flower; there were false flags everywhere. The “truthers” had arrived in numbers. These days, it would fair to say that the truther pedigree has become so distorted the very idea of seeking something remotely factual, history exactly as it was, is becoming a challenge. There are Ted O’Malley (the host of the Conservative talk show “Truth Squad with Ted O’Malley”) types in abundance. The conspiracy market is teeming with contenders, and even presidential candidates of varying quality have decided to purchase a share of it. This is the were-monster as invisible hand, haunting the US electoral landscape. The guardians of quality assurance – or discouragement – were already out warning eager viewers that the return of such a program from the “televisual mausoleum” would not end happily. Carter’s efforts in the filmic versions – The X-Files from 1998 and 2008’s The X-Files: I Want To Believe – were hardly stonking successes. The sense that the series was working on a tired autopilot of dreary seriousness, with an actor such as Anderson obviously more talented than her FBI cut-out would permit her to be, was hard to avoid. The air had gone out of the balloon. The new series embraces the old themes with gusto, though with current twists. Human-alien hybridisation nods to previous episodes, but there are nuclear weapons, weather distortions, the use of the Patriot Act, and the muscular actions of the police state. Reviewers tend to confine themselves to familiar terrain. Kaly Soto prefers those “stand-alone story lines as opposed to the mythology arcs” (New York Times, Jan 25). Some people just love their monsters. Series with the X Files profile would have little purchase were it not for the fact that secrecy accompanies government functions, lacing it with a covering deemed necessary for public order. Do they govern for us, or in their own name and interest? If anything, the X Files risks diminishing that brand of deception, propelling officialdom’s mendacity, and own conspiracies, into the realm of ET. The supernatural dimension detracts from, in Ed Power’s words, “real government skulduggery”, a point that is transcendent of the “extra-terrestrials-in-the-warehouse” notion. Whether it is hybrid alien projects or the XKeyscore surveillance program, the point is clear enough, though the latter poses a far greater problem than the former.